Deflategate was a National Football League (NFL) controversy involving the allegation that Tom Brady ordered the deliberate deflating of footballs used in the New England Patriots victory against the Indianapolis Colts in the American Football Conference (AFC) Championship Game of the 2014–15 NFL playoffs. The controversy resulted in Patriots quarterback Tom Brady being suspended for four games and the team being fined $1 million and losing two draft picks. For his alleged part in the scandal, Tom Brady was originally suspended by the league for four games of the 2015 regular season, which was upheld by NFL commissioner Roger Goodell in an internal appeal. The matter moved to federal court, where Judge Richard M. Berman vacated Goodell's four-game suspension of Brady, allowing Brady to resume his playing duties for the entirety of the 2015 season. However, following the conclusion of the season, the 2nd U.S. Circuit Court of Appeals reinstated Brady's four-game suspension, which became effective for the 2016 regular season. After losing a request for a rehearing, Brady announced he would accept the suspension. The controversy remained a topic of discussion during the 2016 season, which concluded with the Patriots winning Super Bowl LI and Brady being named the MVP of the game. The season also saw the NFL change the procedure for monitoring football pressure. The official rules of the National Football League require footballs to be inflated to a gauge pressure between 12.5 and 13.5 pounds per square inch (psi) or 86 to 93 kPa, when measured by the referees. The rules do not specify the temperature at which such measurement is to be made. Per the pressure-temperature law, there is a positive correlation between the temperature and pressure of a gas with a fixed volume and mass. Thus, if a football were inflated to the minimum pressure of 12.5 psi at room temperature, the pressure would drop below the minimum as the gases inside cooled to a colder ambient temperature on the playing field. Prior to 2006, NFL custom was for the home team to provide all of the game's footballs. In 2006, the rules were altered so that each team uses its own footballs while on offense. Teams rarely handle a football used by the other team except after recovering a fumble or interception. Tom Brady, along with Peyton Manning, who was quarterback of the Indianapolis Colts in 2006, argued for the rules change for the express purpose of letting quarterbacks use footballs that suited them. Early reports suggested that the Colts and Baltimore Ravens first suspected that the footballs the Patriots were using in the games against each team might have been deliberately under-inflated to gain an illegal advantage during the 2014 NFL regular season, although Baltimore head coach John Harbaugh denied reports concerning the Ravens. The American Football Conference (AFC) Championship Game for the 2014 season was played on January 18, 2015, at Gillette Stadium in Foxborough, Massachusetts, home of the Patriots, who hosted the Colts. The winning team would advance to play in Super Bowl XLIX. Prior to the game, the Colts had notified the NFL that they suspected the Patriots were under-inflating balls, but provided no specific information. During the first half of the AFC Championship Game, Patriots quarterback Tom Brady threw an interception to Colts linebacker D'Qwell Jackson. After the play was over, Jackson handed the ball to the Colts equipment manager for safekeeping as a souvenir. Early reports suggested that Jackson was the first to suspect the ball was deflated, but Jackson said he did not notice anything wrong with the ball he caught. Jackson says he actually did not even know the ball was taken or that the controversy existed until he was being driven home from the team's charter plane after the Colts had arrived in Indianapolis. "I wouldn't know how that could even be an advantage or a disadvantage," Jackson said, "I definitely wouldn't be able to tell if one ball had less pressure than another." After Jackson's interception, the team notified NFL Gameday Operations that they "understood that there was a problem with the inflation level of a Patriots football." At halftime, NFL officials inspected the footballs. Former NFL referee Gerry Austin initially, and incorrectly, stated that 11 of the 12 balls used by the Patriots were measured to be two pounds per square inch below the minimum amount, but later reports refuted this allegation, citing only a single ball was two pounds per square inch below the minimum, while others were just a few ticks under the minimum. It was subsequently revealed that in NFL Official Clete Blakeman's measurement sequence (deemed the more accurate of the two gauges), five of eleven footballs measured below 11.0 pounds, this being less than 90% of the officially mandated minimum pressure and a full two pounds below the claimed original inflation target (a magnitude of pressure loss difficult to account for through environmental factors alone). According to NFL Senior Vice President of Officiating Dean Blandino, referees do not log the pressure of the balls prior to the game, or check during the game, and did not do so in this case. Walt Anderson, the referee, gauged the footballs. The Patriots' game balls were re-inflated at halftime to meet specifications and were reintroduced into the game. No issues were raised on the pressure of the footballs used in the second half. The pressures of four of the Colts' footballs were measured at halftime using two gauges, and were found to be within regulation on one of the two gauges, but not on the other gauge. The remainder were not measured because, according to the Wells Report, "the officials were running out of time before the start of the second half." The Patriots led 17–7 at halftime; in the second half, the Patriots scored 28 points for a final score of 45–7. The National Football League began an investigation into the under-inflation of the game balls. The report of the investigation was released in May 2015. When I came in Monday morning, I was shocked to hear about the news reports about the footballs. I had no knowledge of the situation until Monday morning. [...] I think we all know that quarterbacks, kickers, specialists have certain preferences on the footballs. They know a lot more than I do. They're a lot more sensitive to it than I am. I hear them comment on it from time to time, but I can tell you, and they will tell you, that there's never any sympathy whatsoever from me on that subject. Zero. [...] Tom's personal preferences on his footballs are something that he can talk about in much better detail and information than I could possibly provide. Patriots quarterback Tom Brady initially referred to the accusations as "ridiculous". Brady also held a news conference on January 22, prepping his team with a talk beforehand. He denied any involvement and stated that the National Football League had not contacted him in regard to their investigation. He went on to say that he was handling the situation before the Super Bowl. HeadSmart Labs found that similar weather changes caused an average 1.8 psi drop in football pressure. They also reported that the air in an electric pump could reach 130 °F. On January 27, an anonymous league source stated that the investigation was focusing on a Patriots locker room attendant who was seen on surveillance video taking the 24 game footballs (12 from each team) into a restroom for approximately 90 seconds. This video was provided to the NFL by the New England Patriots the day after the 45–7 Patriots victory. We test them. It's 12.5 to 13.5. We put 13 in every ball. ... Dean tested a couple in the office and had one under-inflated and one to specs, and you really couldn't tell the difference unless you actually sat there and tried to squeeze the thing or did some extraordinary thing. If someone just tossed you the ball, especially in 20 degree weather, you're going to pretty much play with the ball. They are going to be hard. You're not going to notice the difference. Additional details released by the NFL on February 1 confirmed that only one of the twelve balls was under pressured by two psi, and that many balls were under pressured by "just a few ticks". The investigation also found that officials noticed during the game that a game ball was missing, and two different officials handed replacement balls to a Patriots equipment manager. One of those officials was reportedly fired from the NFL for selling game balls for personal profit, though the NFL denied this claim. Ryan Grigson, speaking at the 2016 NFL Combine, stated that "prior to the AFC Championship Game, we notified the league about our concerns that the Patriots might be using under-inflated footballs". According to the NFL’s investigation, "Grigson, Sullivan, and other members of the Colts equipment staff referenced the Colts Week 11 game against the Patriots in Indianapolis. During that game, Colts strong safety Mike Adams intercepted two passes thrown by Tom Brady… the intercepted footballs appeared to be coated in a tacky substance and seemed spongy or soft when squeezed. ":46 A New York Post article noted that Grigson's claim implied that the NFL had advance knowledge of the issue and was trying to run a sting operation, contradicting Blandino's claim that it was an issue that "came up in the first half". The claim also contradicts NFL executive vice president of football operations Troy Vincent's statement that Grigson notified the league "during the second quarter of the game". Besides temperature-based deflation and the timing of the measurements, the condition of a ball's surface (wet vs. dry) also has a small but detectable effect on the measured pressure; there can also be minor measurement error caused by the gauges. During halftime, the referees used two gauges on each ball: the same Non-Logo Gauge that Wells believes to have been used by Anderson before the game to confirm the pre-game pressure, and an additional Logo Gauge. The Logo Gauge appears to consistently run at least 0.35 psi above the (accurately calibrated):Appendix 1, 45 non-Logo gauge, but both were determined to be extremely consistent and precise. In particular, the Logo gauge is inaccurate (it runs high) but is precise (it consistently runs high by the same amount every time), and therefore can be used as additional confirmation that the non-Logo measurement is correct (with the exception of Colts ball #3, below). Wells believes that Blakeman and NFL Official Dyrol Prioleau used the Non-Logo and Logo gauges respectively in the Patriots halftime tests, and that the two of them switched gauges with each other for the Colts halftime test. Plot and statistics of mean and standard deviation from measured Patriots footballs at 2015 AFC championship game. The Wells report considers the lower of the two plotted lines to be accurate. Y axis 10 to 13 psi. Exponent believes the measurements for Colts ball 3 involve some sort of transcription error by the original NFL transcriber, as it is only row that reverses the usual Logo vs. Non-Logo differential. Following the release of the report, many commentators[who?] outside of New England said it proved its case. On the other hand, Patriots fans, and New England media, tore into the report for various reasons including phrases like "more probable than not" and "generally aware" in relation to Tom Brady's knowledge of the situation, and the decision to write the report in a way that minimizes the NFL's wrongdoing in relation to the air pressure of the footballs. New England fans were furious at ESPN, especially at Chris Mortensen, for broadcasting news stories that were seen as painting the Patriots in a negative light. Mark Brunell and Jerome Bettis strongly criticized Brady on ESPN, saying that based on their playing experience it was unlikely that the balls had been under-inflated without Brady's awareness. On May 6, 2015, in reaction to the Wells Report, James Glanz of The New York Times wrote an article titled "In the End, Science Works Against the Patriots." The story took the position that the Patriots almost certainly cheated, and that the proof of it is that when accounting for warming during half-time prior to measurement, the ideal gas law could not explain the Patriots’ football pressure. Later, Joe Nocera of the same newspaper took the opposite position: the January 22, 2016, article, "True Scandal of Deflategate Lies in the N.F.L.’s Behavior," took the position that the analysis by Professor John Leonard, concluding that "no deflation occurred and that the Patriots are innocent. It never happened," is, in the words of Nocera, "utterly convincing." On May 7, when asked to comment on the report, Brady stated that he had no reaction since the report was 30 hours old, he was still "digesting the report", and he hoped to comment more fully in the future. He also referred back to owner Robert Kraft's comments following the release of the report. Brady's agent, Don Yee, criticized the report stating investigators jumped to conclusions. On May 12, lead author Ted Wells defended the report, indicating text messages between Patriots game-day employees Jim McNally and John Jastremski about Brady were more than circumstantial evidence to implicate Brady. On May 14, attorney Daniel L. Goldberg prepared a document rebutting specific charges made in the Wells Report, citing Nobel Prize-winning scientist Roderick MacKinnon, who has financial ties to Robert Kraft. Goldberg has represented the Patriots and was present during all of the interviews of Patriots personnel conducted at Gillette Stadium. 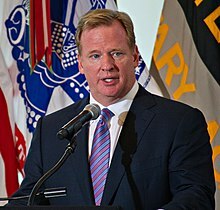 In June 2015, the American Enterprise Institute, a conservative think tank utilizing the ideal gas law as a basis for their report, released an independent scientific analysis that concluded that the Wells Report was "deeply flawed" and that "[i]t is ... unlikely that the Patriots deflated the footballs." The report noted the lack of evidence of a pressure rise during the measurements and used it to challenge the timing assumptions and thus the question of how much warming happened to Patriots' and Colts' footballs, and thus the question of whether the pressure differences could be explained by science. The NFL responded that timing still could not explain the pressure declines." On August 19, 2015, New York Law School professor and self-described Patriots detractor Robert Blecker posted an article "DeflateGate: the Smoking Gun", in which he looked at pictures in the Wells report and concluded that they had been deliberately staged to make the ref’s recollection about which gauge was used appear less reliable. 60 Minutes Sports later interviewed Blecker and showed the pictures. On August 26, self-described Patriots fan Robert F. Young posted online a letter he sent to the judge reviewing the Tom Brady suspension. It requested permission to file an amicus curiae brief. The judge posted the letter to the official court docket on September 10, 2015. The Wall Street Journal reported on Mr. Young's work being on the docket on September 17, 2015. 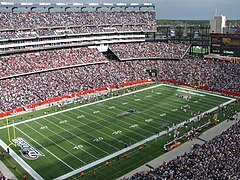 The letter asserted that the lack of pressure rise noted by the American Enterprise Institute report was due not to timing differences but rather due to the science firm used in the Wells Report, Exponent, deliberately rigging the warming test to produce too high a result, as compared to the game-day events, by not properly simulating how on game-day the Patriots' footballs had remained in the bag. The letter summarized how it claimed the Exponent appendix to the Wells report provides sufficient proof of the deception and that the fundamental conclusion that the Patriots' ball pressure could not be explained by science was a lie on the part of Exponent. On August 26, Robert F. Young posted online the 59-page amicus brief that he sent to the court. Judge Richard M. Berman posted the brief to the official court docket on September 9, 2015, and it was subsequently noted and linked to by The Wall Street Journal on September 17, 2015. In addition to providing the supporting detail behind the letter, it used heat flow theory to calculate that the warming difference caused by the bag on game day was sufficient to completely explain the difference between the NLF/Exponent simulation results based on the referee’s recollection of the gauge and the actual Patriots' ball pressures. The brief examined each reason given by Exponent for not believing the referee regarding the question of which gauge had been used pre-game, arguing why Exponent would not have actually believed each reason it gave. It noted an observation by Professor Blecker that Exponent's timing assumption for the Colts' footballs had no basis in information provided by the NFL and was not explained in any way. It noted that with the more generally agreed timing assumption of the Colts' balls having been tested at the last minute, the Exponent experimental simulation data was inconsistent with disbelieving the referee and consistent with believing the referee. Combining the above it argued that the Exponent work, when properly understood, shows that to the best that can be known by the science known to Exponent, the evidence proves that no air was improperly removed from the Patriots' footballs. On August 30, Robert F. Young posted a pictorial summary of the issues mentioned in his amicus brief. The summary included experimental data from Patriots fan Mike Greenway, not part of the brief, showing that even a dry bag, partially open, was sufficient to slow warming of even a football in the top of the bag by 2.5 times relative to the Exponent experimental work. On August 31, writing an op-ed piece for WBUR-FM, Professor Blecker explained how he believes the NFL and Exponent had been deceptive regarding crucial evidence, and that he believes that most likely no cheating was committed by the Patriots. The op-ed mentions that the "expert accusers" (Exponent) ignored the effect of the balls having remained in the bag on game day. The op-ed linked to Robert F. Young’s website Deflategate landing page for further proof of the bag issue. During an interview on 60 Minutes that aired on CBS on September 13, 2015, Blecker claimed that the NFL investigation was completely biased against the Patriots. He stated that the gauges used to measure the footballs at halftime were Walt Anderson's personal gauges and that, "if you want to know how much something has dropped, you’ve got to measure it with the same gauge before the game as you do at halftime." Blecker also noted that the side-by-side comparison of the two gauges shown in the Wells Report were different sizes. In addition to that, the picture also showed that the NFL measured the two needles at different spots to make the smaller needle appear longer. According to Blecker, the different needle sizes resulted in one gauge reading at a constant measure of about 0.4 PSI higher than the other. On December 14, 2015, Blecker filed an amicus curiae brief accusing the NFL of being "infected with bias, unfairness, evident partiality and occasional fraud". On November 25, 2015, MIT professor John Leonard posted a lecture on YouTube titled "Taking the Measure of Deflategate"[dead link] in which he explains why he believes the Exponent portion of the Wells Report contains technical failures that caused the report to incorrectly conclude that footballs were deflated. An abridged version of the lecture is available here, also on YouTube. Leonard walks through the ideal gas law calculations and highlights others' mistakes by not using absolute pressure, and concludes that the Patriots' footballs met the ideal gas law prediction. Leonard then pointed out inconsistencies in the Exponent report regarding the effect of wetness on volume, and cited one study by Thomas Healy, a graduate student at Carnegie Mellon University, that showed up to a three percent increase in volume if the balls are wet. Leonard agreed with previous analysis that showed slowed warming when the balls were kept in a bag—something he claims the Exponent reports ignores. He also details technical failures of the transient analysis in the Exponent report, which did not show a slower rate of warming for wet balls. Leonard also argues that the Exponent report contains incorrect "amplitudes" in some graphs which underrepresented the total warming of both the Colts' and Patriots' balls. The NFL also announced a three-day appeal deadline for charges against Brady specifically according to the 2011 collective bargaining agreement, and a deadline of May 21 for charges against the team. Brady's agent indicated the suspension would be appealed. The Patriots suspended Jim McNally and John Jastremski indefinitely on May 6, with the NFL indicating that the pair could not be rehired without the league's approval. Patriots owner Robert Kraft issued a statement stating the punishment "far exceeded" reasonable expectation, was based on circumstantial evidence, and that Tom Brady had his unconditional support. After Judge Berman vacated the Brady suspension, the Patriots requested that Jastremski and McNally be reinstated; the NFL officially did so on September 16, 2015. Commentary on the initial punishment was mixed. Bleacher Report referred to the penalties as "brutal." Various commentators also inferred that the prior reputation of the Patriots organization as a team that bends rules appeared to factor into the harshness of the punishment. Others described the punishment as "firm but fair." On May 14, the National Football League Players Association (NFLPA) filed an appeal of Tom Brady's four-game suspension. The NFL also announced Roger Goodell would preside over Brady's appeal, despite objections from the NFLPA, which requested a neutral arbitrator. On May 19, Robert Kraft told media at an NFL owners meeting that he did not plan on appealing the penalties imposed on the team; that decision had no impact on the NFLPA's appeal on behalf of Brady. Also, Patriots fans held a "Free Brady" rally at Gillette Stadium on May 26, 2015. On June 23, Tom Brady appealed his suspension before Roger Goodell at the NFL's offices in New York City in a 10-hour-long hearing. On July 28, Goodell announced that he had upheld the four-game suspension, citing Brady's destruction of his cell phone as a critical factor: "On or shortly before March 6, the day that Tom Brady met with independent investigator Ted Wells and his colleagues, Brady directed that the cell phone he had used for the prior four months be destroyed," the league statement read. "He did so even though he was aware that the investigators had requested access to text messages and other electronic information that had been stored on that phone. During the four months that the cell phone was in use, Brady had exchanged nearly 10,000 text messages, none of which can now be retrieved from that device. The destruction of the cell phone was not disclosed until June 18, almost four months after the investigators had first sought electronic information from Brady." The NFL also filed papers in Manhattan federal court seeking to confirm Roger Goodell's decision. On July 29 the NFL Players Association (NFLPA) announced that they filed an injunction in Minnesota that would prevent the NFL from enforcing the four-game suspension that commissioner Roger Goodell confirmed. On July 30, a Minnesota judge ordered the lawsuit be transferred to the Southern District of New York. I am very disappointed by the NFL’s decision to uphold the 4 game suspension against me. I did nothing wrong, and no one in the Patriots organization did either. Despite submitting to hours of testimony over the past 6 months, it is disappointing that the Commissioner upheld my suspension based upon a standard that it was "probable" that I was "generally aware" of misconduct. The fact is that neither I, nor any equipment person, did anything of which we have been accused. I also disagree with yesterdays narrative surrounding my cellphone. I replaced my broken Samsung phone with a new iPhone 6 AFTER my attorneys made it clear to the NFL that my actual phone device would not be subjected to investigation under ANY circumstances. As a member of a union, I was under no obligation to set a new precedent going forward, nor was I made aware at any time during Mr. Wells investigation, that failing to subject my cell phone to investigation would result in ANY discipline. Most importantly, I have never written, texted, emailed to anybody at anytime, anything related to football air pressure before this issue was raised at the AFC Championship game in January. To suggest that I destroyed a phone to avoid giving the NFL information it requested is completely wrong. To try and reconcile the record and fully cooperate with the investigation after I was disciplined in May, we turned over detailed pages of cell phone records and all of the emails that Mr. Wells requested. We even contacted the phone company to see if there was any possible way we could retrieve any/all of the actual text messages from my old phone. In short, we exhausted every possibility to give the NFL everything we could and offered to go thru the identity for every text and phone call during the relevant time. He dismissed my hours of testimony and it is disappointing that he found it unreliable...I will not allow my unfair discipline to become a precedent for other NFL players without a fight. Patriots owner Robert Kraft also stated at a news conference that "I was wrong to put my faith in the league" and apologized to the team's fans for accepting the "harshest penalty in history of NFL for an alleged ball violation" because he thought that cooperating would help exonerate Brady. The Patriots released email exchanges between the Patriots organization and the NFL on July 31, 2015. The emails, beginning in February 2015, show the Patriots' frustration over the NFL's failure to investigate the source of leaks, which turned out to consist largely of incorrect information. Mike Florio of ProFootballTalk.com later contrasted Wells' lack of concern regarding these leaks with his "outrage" over leaks from Columbia University after they were asked to consult on the investigation. On July 31, 2015, Tom E. Curran, writing for Comcast SportsNet New England, reported that NFL Vice President of Game Operations Mike Kensil was the "main source" of the report regarding 11 of the 12 Patriots footballs being under inflated. "The sharp contrast between [sic] the almost complete absence of communications through the AFC championship game undermines any suggestion during the three days following the AFC championship game that the communications addressed only preparation of footballs for the Super Bowl rather than the tampering allegations and their anticipated responses to inquiries about the tampering." "While preparing for the Super Bowl was a primary concern – is that surprising? – Brady couldn't have been more clear that other topics were broached, including the scandal, and that they didn't ONLY discuss football prep for the Seattle game." This, along with other issues raised, led Wetzel to ask "how does anyone in the NFL – owner, coach, player or fan – possibly trust the league office to investigate and rule on anything ever again?" Sally Jenkins of the Washington Post asked on Twitter whether this "beg[s] that other disciplinary hearings be unsealed, given how NFL misconstrued testimony?" The transcript also showcased that league officials, in particular Troy Vincent, were ignorant of the ideal gas law and natural changes in PSI. The independence of Wells and Paul, Weiss & Co. has been doubted, notably by Mike Florio, citing a conflict of interest: Lorin Reisner, who worked on the Wells Report served as the attorney who (on behalf of the NFL) cross-examined Brady at the appeal hearing; in addition, Wells asserted attorney–client privilege during the hearing. On August 12, the NFL Players Association and Tom Brady met the NFL in the United States District Court for the Southern District of New York at the Daniel Patrick Moynihan United States Courthouse in Foley Square to discuss a possible settlement. No settlement was reached; the next scheduled court date was August 19. The judge asked to know what exact evidence links Brady to deflating footballs, with NFL lawyer Daniel Nash responding that there was "no direct evidence Mr. Brady clearly knew about this," including records of text messages, and phone calls between the quarterback and one of the two Patriots employees implicated. He also indicated there is no "smoking gun" showing that Brady had direct knowledge that the balls were deflated. It was reported that, at the August 19th hearing, the Judge, Richard M. Berman, pushed the NFL to settle. While he could not force either side to settle the case, Judge Berman was critical of the NFL's argument with questions of fundamental fairness and evident impartiality. It was also reported that Berman didn't want to make a decision in the case and would rather have had both sides come to a settlement. His tactics in court were to point out the NFL's biggest flaws in their arguments, in hopes that this would trigger the settlement. The next settlement hearing was August 31, with no change in position from either side. Judge Berman indicated a final decision would be rendered within a week. On September 3, Judge Berman threw out Brady's suspension on the grounds of a lack of fair due process for Brady. The NFL announced it would appeal the decision. On October 26, 2015, the NFL filed a 61-page brief in court to appeal Judge Berman's decision. Goodell on the following Tuesday stated that the appeal has nothing to do with Tom Brady but instead has to do with the commissioner's current power negotiated into the 2011 Collective Bargaining Agreement. At the March 3, 2016, hearing in New York City the three-judge panel of the United States Court of Appeals for the Second Circuit scrutinized Players Association lawyer Jeffrey L. Kessler more intensely than NFL lawyer Paul Clement, with Circuit Judge Denny Chin even stating that "the evidence of ball tampering is compelling, if not overwhelming." On April 25, 2016, the Second Circuit reinstated Brady's four-game suspension for the 2016 regular season. Circuit Judge Barrington Daniels Parker, Jr., joined by Circuit Judge Chin, wrote that they could not "second-guess" the arbitration but were merely determining it "met the minimum legal standards established by the Labor Management Relations Act of 1947". Circuit Chief Judge Robert Katzmann dissented, writing that the NFL's fines for using stickum was "highly analogous" and that here "the Commissioner was doling out his own brand of industrial justice." On May 23, 2016, Brady petitioned the court of appeals, requesting an en banc rehearing by the full court. That petition was denied on July 13, 2016. As stated by Boston Globe columnists Bob Hohler and Ben Volin in the lead of their article: "Patriots great Tom Brady suffered a resounding defeat in a federal appeals court Wednesday, leaving him with the daunting option of a last-ditch plea to the Supreme Court in his arduous quest to clear his name. More than 14 months after the National Football League punished Brady for allegedly conspiring with Patriots employees, including an aide who dubbed himself The Deflator, to tamper with the air pressure of footballs in a conference championship game, the US Court of Appeals for the Second Circuit flatly rejected Brady’s appeal of his four-game suspension. Not a single judge on the 13-member panel issued a dissent." Two days later Brady announced he would not appeal further and would serve his four game suspension at the beginning of the 2016 NFL season. Roxanne Jones of CNN argued that the Patriots should have been thrown out of the Super Bowl even before the NFL had started its investigation. 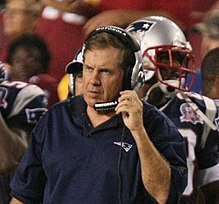 The 2007 Spygate incident, in which the Patriots were sanctioned for having a video camera in an unapproved location filming an opponent's defensive signals during a game in violation of a memo that was sent to the NFL teams, a memo that misquoted the rules in question. Unrelated incidents earlier in the season, involving NFL players: Ray Rice knocking his girlfriend unconscious and Adrian Peterson whipping his child, and the media's focus on the reaction by the league. The two-week hiatus between championship games and the Super Bowl, which creates natural pressure on sports journalists writing on the NFL to "fill the void". Chris Mortensen's report, citing league sources, which claimed the balls were as low as 10.5 PSI, which was shown to be false months later when measurements were released in the Wells Report. The Patriots released e-mails showing their lawyers pleading with NFL attorneys to correct the record, but the NFL made no effort to do so. This led to criticism from Forbes that ESPN, perhaps due to its "unnerving" financial commitments with the league, were unable to report on the league objectively. The strength of the initial media reaction to the incident contrasts with the very superficial coverage that media outlets gave to allegations of prohibited texts sent by Cleveland Browns staff, or that the Atlanta Falcons may have secured an unfair advantage by piping in artificial crowd noise during opponents' offensive snaps, even though some argued that if the accusations were true, "that's a far more serious offense than any deflated footballs could possibly be". In a November 2014 game between the Minnesota Vikings and Carolina Panthers, with wind chill temperature of negative seven degrees, both teams used sideline heaters to warm the footballs during the game in violation of league policies, but no penalties were issued in that case and the media reaction was superficial. The controversy was not only the dominant topic in the build-up to the Super Bowl, but was discussed beyond sports media. National Review and Rush Limbaugh provided social commentary. Limbaugh and fellow talk host Mark Levin compared the amount of attention devoted to the controversy with the amount devoted to the death of King Abdullah of Saudi Arabia and the change of government in Yemen, to comment on the priorities of the American public. Deflategate continued to be a major news item following the Super Bowl and during the offseason, as the NFL issued its report and penalties were imposed and then appealed. As the story became increasingly less about football and more about science and legal process, it became common for the media to refer to "DeflateGate fatigue". Eventually the media began to mock itself in relation to the reporting of DeflateGate fatigue. Brady's successful appeal shortly before the start of the regular season reduced coverage whilst media attention returned to the games themselves, although coverage flared up again for the Primetime game between the Colts and the Patriots in Week 6 of the 2015 NFL season. Media coverage flared up again following the Second Circuit's decision on April 25, 2016 to reinstate Brady's four-game suspension. The Boston Globe sports columnist Dan Shaughnessy concluded: "Bottom line: The Patriots were doing it. They had a system of deflating footballs after the balls were inspected by officials. Any agenda-less person who reads the Wells Report would come away with no other conclusion. The texts were unexplainable." On January 24, 2015, Saturday Night Live parodied the scandal in a cold open sketch with Beck Bennett as Bill Belichick and Taran Killam as Tom Brady. On September 16, 2015, South Park parodied the Deflategate scandal in its season 19 premiere episode, "Stunning and Brave". In the fall semester of 2015 the University of New Hampshire offered a 400-level course on "Deflategate". On May 12, 2015, David Portnoy of Barstool Sports along with three other Barstool employees, protested Brady's suspension by handcuffing themselves in the lobby of NFL headquarters. They were arrested by the NYPD for trespassing." In April 2016, 7 Patriots fans filed a lawsuit against the NFL over Deflategate, claiming the loss of draft picks constitutes fraud. Legal analysts do not expect the lawsuit to be successful, for many reasons, including that the plaintiffs appear to lack sufficient standing. On February 17, 2015, ESPN reporter Kelly Naqi reported that a Patriots ball attendant, Jim McNally, had tried "to introduce an unauthorized football"—lacking the markings found on approved footballs—into the game during the first half. That initial report did not indicate why or exactly when this happened, but did state that Kensil went to the officials' locker room at halftime to inspect the game balls, "in part because of the suspicions McNally's actions raised." Naqi later led a report on ESPN's program Outside the Lines, in which she interviewed an Indianapolis-based ex-referee who claimed that NFL officials had been "aware" of McNally for years and had raised concerns about him. This football was a "'K' ball", one of the footballs used for special teams plays. Naqi's report was immediately contradicted by another ESPN reporter, Adam Schefter. Schefter's report cited sources stating that a "K" ball had gone missing, and that an NFL employee in charge of collecting game footballs for charity had handed the unmarked ball to McNally. Those sources also claimed that the NFL employee was fired after the game, as he had been taking footballs intended for charity and selling them at a profit "over a period of time". Tom Brady served a 4-game suspension. He was not allowed to have any contact with the New England Patriots, including players, coaches or facilities during the suspension. "Two hours and 15 minutes prior to kickoff, both teams will be required to bring 24 footballs (12 primary and 12 back-up) to the Officials’ Locker Room for inspection. Two Game Officials, designated by the Referee, will conduct the inspection and record the PSI measurement of each football. The League’s Security Representative will observe the inspection process. Primary game balls for each team will be numbered one through 12, and any game ball within the allowable range of 12.5 PSI to 13.5 PSI will be approved, and the PSI level will not be altered. Any game ball that is determined to be over 13.5 PSI or under 12.5 PSI will either be deflated or inflated to 13.0 PSI. The same procedure will be followed with respect to the back-up set of game balls for each team." On December 4, 2016, the New York Giants took possession of two Pittsburgh Steelers footballs after turnovers. They were tested on the sidelines by New York and found to have 11.4 and 11.8 pounds of pressure. The NFL declined to investigate because the chain of custody of footballs from the locker room to the field was not compromised and there was no formal complaint. Stephen McIntyre, "Deflating Deflategate: Confusion about basic science could have wrongly smeared Tom Brady", Financial Post, 1 September 2015. ^ Hirschhorn, Jason (May 11, 2015). "Patriots lose 2016 1st-round pick, fined $1 million for DeflateGate role". SBnation.com. Retrieved February 14, 2017. ^ Reiss, Mike (July 28, 2015). "NFL's statement on upholding Tom Brady's suspension at four games". ESPN.com. Retrieved December 26, 2016. ^ Keeney, Tim (September 3, 2015). "Full Text of Judge Richard Berman's Tom Brady Ruling". Heavy.com. Retrieved April 22, 2016. ^ a b c Orr, Connor (April 25, 2016). "Tom Brady's four-game suspension reinstated". NFL.com. NFL Enterprises, LLC. Retrieved April 25, 2016. ^ a b Orr, Conor (July 15, 2016). "Tom Brady won't further pursue suspension appeal". NFL.com. NFL Enterprises, LLC. Retrieved July 15, 2016. ^ Reyes, Lorenzo (July 15, 2016). "Tom Brady announces he won't fight Deflategate suspension further in court". USA Today. Retrieved July 15, 2016. ^ a b "NFL Game Ball Procedures". NFL Ops: Game Day. NFL Enterprises, LLC. July 2015. Retrieved 10 February 2017. ^ "Official Playing Rules of the National Football League – Rule 2-1" (PDF). NFL.com. NFL Enterprises, LLC. October 25, 2013. Retrieved January 26, 2015. ^ Rakov, Abe (November 28, 2006). "Brady, Manning convince NFL to allow offenses to use own footballs on the road". Sun-Sentinel. Retrieved January 24, 2015. ^ a b "NFL was ready to check New England Patriots' footballs against Colts, report says - Newsday". Newsday. Retrieved May 6, 2015. ^ "Report: Colts Raised Concerns About Under-Inflated Balls After Game vs. Patriots in Indianapolis". Boston.com. Retrieved May 6, 2015. ^ Hensley, Jamison (February 1, 2015). "Ravens didn't tip off Colts about PSIs". ESPN. Retrieved April 12, 2015. ^ a b c d e f g h i j k l m n o p Wells Jr., Theodore V.; Karp, Brad S.; Reisner, Lorin L. (May 6, 2015). "INVESTIGATIVE REPORT CONCERNING FOOTBALLS USED DURING THE AFC CHAMPIONSHIP GAME ON JANUARY 18, 2015" (PDF). NFL.com. NFL Enterprises, LLC. Retrieved December 18, 2018. ^ Weinfuss, Josh (January 22, 2015). "D'Qwell Jackson didn't notice weight". ESPN.com. Retrieved April 12, 2015. ^ Darlington, Jeff (January 22, 2015). "Colts' D'Qwell Jackson: I didn't know football had less pressure". NFL.com. NFL Enterprises, LLC. Retrieved April 12, 2015. ^ Travis Durkee (January 21, 2015). "Ex-NFL referee: All 12 Patriot footballs were underinflated". Sporting News. Retrieved January 24, 2015. ^ a b Rapoport, Ian (February 1, 2015). "More details on the investigation of Patriots' deflated footballs". NFL.com. NFL Enterprises, LLC. Retrieved February 2, 2015. ^ Howe, Jeff (January 29, 2015). "Dean Blandino: Referee doesn't document football PSI levels". Boston Herald. Retrieved January 29, 2015. ^ Schwab, Frank (January 20, 2015). "How did Colts know Patriots' balls weren't inflated? And Gronk takes blame". Yahoo! Sports. Retrieved January 24, 2015. ^ "Deflate-gate: Bill Belichick says Patriots have followed every rule". BBC Sport. January 24, 2015. Retrieved January 24, 2015. ^ "NFL Game Center". NFL.com. NFL Enterprises, LLC. January 18, 2015. Retrieved May 12, 2015. ^ McLaughlin, Eliott (January 23, 2015). "What the heck is Deflategate anyway?". CNN. Retrieved January 23, 2015. ^ Susanna Kim; Aaron Katersky (January 19, 2015). "Deflategate: NFL Probing Whether New England Patriots Used Deflated Balls". ABC News. Retrieved April 12, 2015. ^ a b Pepin, Matt (January 22, 2015). "Bill Belichick says he has 'no explanation' for Deflategate". Boston Globe. Retrieved January 22, 2015. ^ Meghan Keneally; Susanna Kim; Aaron Katersky (January 19, 2015). "Deflate-Gate: New England Patriots Coach Says Team Will Cooperate With Probers". ABC News. Retrieved April 12, 2015. ^ Alper, Josh (January 22, 2015). "Tom Brady: NFL hasn't contacted me as part of investigation". NBC Sports. Retrieved April 12, 2015. ^ "Tom Brady: Press Conference - YouTube". YouTube. ^ HeadSmart Labs. "HeadSmart Labs' Study Scientifically Demystifies Deflategate". Sport Techie. Retrieved 5 June 2015. ^ "NFL looking at Patriots attendant". ESPN.com. January 27, 2015. Retrieved January 27, 2015. ^ Smith, Michael David (January 29, 2015). "NFL didn't log the PSI of each Patriots football". NBC Sports. Retrieved January 30, 2015. ^ Reiss, Mike (January 29, 2015). "Learning more on how referees test and document football air pressure". ESPN. Retrieved February 2, 2015. ^ Fitzgerald, Matt (February 18, 2015). "NFL Refutes Report That Official Was Fired for Selling Deflategate Ball". Bleacher Report. Retrieved December 18, 2018. ^ a b Hubbuch, Bart (February 20, 2015). "There's a glaring contradiction in NFL's Deflategate timeline". New York Post. Retrieved April 13, 2015. ^ Brinson, Will (February 3, 2015). "Ryan Grigson tipped NFL off to deflated balls in Patriots-Colts". CBS Sports. Retrieved February 23, 2015. ^ Gershman, Jacob (2015-01-23). "NFL Taps Attorney Ted Wells to Lead 'Deflategate' Probe". WSJ Blogs - Law Blog. Retrieved 2015-12-03. ^ The report is officially entitled Investigative Report Concerning Footballs Used During the AFC Championship Game on January 18, 2015. ^ "Everything wrong with Wells Report". Thornography. Retrieved 2015-12-03. ^ "Sources: 11 of 12 Pats footballs underinflated". ESPN.com. Retrieved 2015-12-03. ^ Bieler, Des (2015-01-22). "Mark Brunell and other ex-players crushed Tom Brady on ESPN". The Washington Post. ISSN 0190-8286. Retrieved 2015-12-03. ^ "In the End, Science Works Against the Patriots". The New York Times. Retrieved September 20, 2015. ^ "True Scandal of Deflategate Lies in the N.F.L. 's Behavior". The New York Times. Retrieved September 24, 2016. ^ "Tom Brady says he's still digesting 'Deflategate' report". CNN. Retrieved May 7, 2015. ^ "Patriots owner Robert Kraft releases defiant statement defending his team after the NFL nailed them for deflategate". businessinsider.com. Business Insider. Retrieved May 6, 2015. ^ "Deflategate Report: Tom Brady's Agent Slams Findings, Says Investigators Jumped to Conclusions". abc.news.go.com. ABC News. Retrieved May 7, 2015. ^ "Ted Wells sure of Tom Brady's guilt, defends integrity of report". Sportingnews.com. Retrieved 2015-06-20. ^ "The Wells Report in Context". Wellsreportcontext.com. Retrieved 2015-06-20. ^ "Patriots' Deflategate rebuttal included scientist with financial ties to owner Bob Kraft". Washingtonpost.com. Retrieved 2015-06-20. ^ "The Patriots made a truther website about the Wells Report". Msn.com. Archived from the original on 2015-05-21. Retrieved 2015-06-20. ^ "Hacks Desperately Try To Disprove Deflategate". ^ Hassett, Kevin; Sullivan, Joseph; Veuger, Stan (June 12, 2015). "On the Wells Report". AEI Economic Perspectives. Retrieved 2015-06-20. ^ Goodell, Roger (June 12, 2015). "Final Decision on Article 46 Appeal of Tom Brady" (PDF). NFL.com. NFL Enterprises, LLC. Retrieved September 20, 2015. ^ Blecker, Robert (August 19, 2015). "DeflateGate: The Smoking Gun". Retrieved 2015-09-23. ^ Young, Robert (August 25, 2015). "Permission requested to file AMICUS CURIAE IN OPPOSITION TO THE NFL'S MOTION TO CONFIRM ARBITRATION AWARD" (PDF). Retrieved 2015-09-23. ^ a b Gershman, Jacob (September 17, 2015). "The 'Deflategate' Judge's Unusual Fan Mail". Retrieved 2015-09-20. ^ Young, Robert (August 25, 2015). "ROBERT F. YOUNG'S AMICUS CURIAE IN OPPOSITION TO THE NFL'S MOTION TO CONFIRM ARBITRATION AWARD" (PDF). Retrieved 2015-09-23. ^ Young, Robert (August 30, 2015). "Simple pictures (to show Exponent knew Pat's ball pressure was fine)". Retrieved 2015-09-10. ^ Blecker, Robert (August 31, 2015). "DeflateGate, And The Patriots' False Appearance Of Guilt". WBUR-FM. Retrieved April 22, 2016. ^ Young, Robert (August 31, 2015). "Better Dialogue re: #DeflateGate". Retrieved 2015-08-31. ^ Thomas, Oliver (September 17, 2015). "New York law professor: Deflategate 'based on a tissue of lies'". 247Sports.com. Retrieved April 22, 2016. ^ Rohrbach, Ben (2015-12-18). "N.Y. law professor files deflate-gate brief accusing NFL of fraud | Shutdown Corner - Yahoo Sports". Sports.yahoo.com. Retrieved 2016-03-02. ^ "Case 15-2801, Document 138" (PDF). TheWhiteBronco.com. December 14, 2015. Archived from the original (PDF) on December 22, 2015. ^ "MIT Professor Debunks Deflategate". YouTube. 2015-12-01. Retrieved 2016-03-02. ^ Glanz, James (2015-01-29). "Deflation Experiments Show Patriots May Have a Point After All". The New York Times. ISSN 0362-4331. Retrieved 2015-12-15. ^ Leonard, John (2015-11-25). "Deflategate transient analysis". YouTube. John Leonard. Retrieved 2015-12-14. ^ Rosenthal, Gregg (May 11, 2015). "Patriots' Tom Brady suspended 4 games". NFL.com. NFL Enterprises, LLC. Retrieved May 11, 2015. ^ a b "NFL releases statement on Patriots' violations". NFL.com. NFL Enterprises, LLC. May 11, 2015. Retrieved May 12, 2015. ^ Rosenthal, Gregg (May 11, 2015). "Brady suspended 4 games; Patriots forfeit 2016 first rounder". NFL.com. NFL Enterprises, LLC. Retrieved May 11, 2015. ^ "Brady to appeal suspension; Agent calls discipline 'ridiculous'". wcvb.com. May 11, 2015. Retrieved May 11, 2015. ^ Gantt, Darin (May 11, 2015). "The Deflator, Pats equipment assistant suspended indefinitely". NBC Sports. Retrieved May 11, 2015. ^ "Kraft: DeflateGate Punishment 'Far Exceeded' Reasonable Expectation". WBZ-TV. May 11, 2015. Retrieved May 11, 2015. ^ "Patriots Ask NFL To Reinstate Team Employees John Jastremski, Jim McNally". NESN. September 9, 2015. Retrieved September 9, 2015. ^ "NFL Reinstates Patriots Employees John Jastremski, Jim McNally From Suspension". NESN. September 16, 2015. Retrieved September 16, 2015. ^ a b Mike Freeman (11 May 2015). "NFL Deflategate Message: No Player Is Above the Rules, Not Even Tom Brady". Bleacher Report. ^ Eric Adelson (11 May 2015). "Tom Brady allowed the new NFL Way to smack Patriot Way in stunning fashion". Yahoo! Sports. Somewhere along the line, the debate over what happened in the hours and minutes leading up to the AFC championship game in January went beyond air pressure and weather conditions, and became a referendum on the character of Tom Brady and his franchise. ^ O'Connor, Ian. "Tom Brady should skip appeal, tell truth now". ESPN.com. ESPN Internet Ventures. Retrieved 12 May 2015. ^ "NFLPA appeals Patriots QB Tom Brady's four-game suspension". ESPN.com. Retrieved 14 May 2015. ^ Lindsay H. Jones. "Roger Goodell to preside over Tom Brady's appeal of Deflategate suspension". USAToday.com. Retrieved 12 May 2015. ^ Walder, Seth (2015-05-19). "Kraft says Patriots won't appeal DeflateGate penalties". Nydailynews.com. Retrieved 2015-06-20. ^ Reiss, Mike (19 May 2015). "Robert Kraft: Patriots won't appeal Deflategate punishment". ESPN.com. ESPN Internet Ventures. Retrieved 25 May 2015. ^ Don Melvin. "Tom Brady's 'Deflategate' appeal hearing ends after 10 hours". CNN.com. Retrieved 23 June 2015. ^ Rosenthal, Gregg (July 28, 2015). "Roger Goodell upholds Tom Brady suspension". NFL.com. NFL Enterprises, LLC. Retrieved July 28, 2015. ^ Gantt, Darin (July 28, 2015). "Goodell cites destroying phone in upholding Tom Brady's suspension". NBC Sports. Retrieved July 28, 2015. ^ Armstrong, Kevin; et al. (July 28, 2015). "NFL hopes to have expected Tom Brady lawsuit in New York and not Minnesota". New York Daily News. Retrieved July 28, 2015. ^ Hanzus, Dan (July 29, 2015). "What's next in Tom Brady's legal fight?". NFL.com. NFL Enterprises, LLC. Retrieved July 29, 2015. ^ "Tom Brady's suspension appeal is in federal court". CBS News. July 30, 2015. Retrieved July 31, 2015. ^ Orr, Conor (July 29, 2015). "Tom Brady responds to Roger Goodell's ruling". NFL.com. NFL Enterprises, LLC. Retrieved July 29, 2015. ^ Kerr-Dineen, Luke (July 29, 2015). "Tom Brady rips the NFL's Deflategate decision on his Facebook page". USA Today. Retrieved July 29, 2015. ^ Almasy, Steve. "Tom Brady and Patriots owner attack NFL over 'Deflategate' decision". CNN.com. CNN. Retrieved 29 July 2015. ^ Davis, Nate (July 29, 2015). "Robert Kraft blisters NFL for upholding Brady suspension, apologizes to fans". USA Today. Retrieved July 29, 2015. ^ Florio, Mike (July 31, 2015). "Patriots release emails to NFL on leaks of false information". Profootballtalk.com. NBC Sports. Retrieved August 2, 2015. ^ Florio, Mike (August 6, 2015). "Ted Wells didn't hire Columbia physicists due to leaks". Profootballtalk.com. NBC Sports. Retrieved April 22, 2016. ^ Curran, Tom E. (July 31, 2015). "Attention circles back to Kensil as Deflategate source". Comcast SportsNet New England. Retrieved August 2, 2015. ^ a b c Wetzel, Dan. "Roger Goodell's manipulation of Tom Brady's testimony leaves NFL on slippery slope". ^ "Transcript proves NFL didn't know air pressure could drop naturally - ProFootballTalk". nbcsports.com. ^ "Ted Wells, "independent" investigator in name only - ProFootballTalk". nbcsports.com. ^ "Deflategate hearing begins with judge Richard M. Berman yet to decide on Tom Brady settlement case". ESPN.com. ^ ABC News. "No Settlement: Goodell, Brady Await 'Deflategate' Ruling". ABC News. ^ Orr, Conor (September 3, 2015). "Judge nullifies Tom Brady's four-game suspension". NFL.com. NFL Enterprises, LLC. Retrieved September 3, 2015. ^ "Judge rules in favor of Tom Brady in Deflategate; NFL appeals decision". ESPN. September 3, 2015. Retrieved September 3, 2015. ^ Patra, Kevin (September 3, 2015). "NFL officially appeals Tom Brady decision". NFL.com. NFL Enterprises, LLC. Retrieved September 3, 2015. ^ Breech, John (October 28, 2015). "Goodell: NFL's Deflategate appeal has 'nothing to do' with Tom Brady". CBS Sports. Retrieved October 31, 2015. ^ Volin, Ben (3 March 2016). "Brady's lawyer feels pressure from judges". The Boston Globe. Retrieved 26 April 2016. ^ a b "Tom Brady's four-game suspension upheld". ESPN. April 25, 2016. Retrieved April 25, 2016. ^ Volin, Ben (25 April 2016). "Brady must serve 'Deflategate' suspension, appeals court rules". The Boston Globe. Retrieved 26 April 2016. ^ Gershman, Jacob (25 April 2016). "Why the NFL Won its 'Deflategate' Appeal". The Wall Street Journal. Retrieved 26 April 2016. ^ Wilner, Barry (May 23, 2015). "Tom Brady keeps Deflategate battle going with another appeal of suspension". Boston.com. Associated Press. Retrieved July 13, 2016. ^ a b Hohler, Bob; Volin, Ben (July 13, 2016). "Tom Brady is denied his appeal, so suspension stands". The Boston Globe. Retrieved July 13, 2016. ^ Mahoney, Andrew (July 15, 2016). "Tom Brady drops appeal, accepts four-game Deflategate suspension". The Boston Globe. Retrieved July 15, 2016. ^ a b Roxanne Jones (January 23, 2015). "Throw the Patriots out of the Super Bowl". CNN.com. ^ Paul Newberry. "Deflategate should keep Belichick out of Super Bowl". Retrieved February 4, 2015. Maury Brown (January 21, 2015). "Should Bill Belichick Be Suspended For The Super Bowl Over Deflate-Gate?". Forbes.com. ^ Dan Wetzel (January 22, 2015). "Most troubling news out of Tom Brady's deflate-gate comments: NFL hasn't talked to QB". Yahoo! Sports. ^ "Aikman: Patriots' punishment should exceed Saints' in bounty scandal". Cbssports.com. Retrieved 2015-06-20. ^ Mike Downey (January 23, 2015). "Deflate-gate: Will the air go out of a phony scandal?". CNN.com. Retrieved February 27, 2015. ^ Matthew Kory (January 26, 2015). "Deflate-gate Is The Dumbest Sports Controversy Ever". Forbes. ^ "Is media coverage overinflating 'deflategate'?". CNN.com. January 25, 2015. Retrieved February 4, 2015. ^ Paul Doyle (January 20, 2015). "Patriots And Belichick: Spygate, Deflategate ... And More". Hartford Courant. Retrieved February 27, 2015. ^ Scott Sheaffer. "The Truth About Spygate: Punishing Success and Promoting Parity". Bleacher Report. ^ Rupert Cornwell (January 23, 2015). "Deflategate: Soft balls causing a feeling of deflation before Super Bowl". The Independent. Retrieved February 27, 2015. ^ Frank Schwab (January 22, 2015). "The five most unbelievable opinions about the deflate-gate controversy". Yahoo! Sports. Retrieved February 27, 2015. ^ "ESPN's Chris Mortensen Deletes Tweet Containing Incorrect Deflategate Report - New England Patriots - NESN.com". NESN.com. ^ "Patriots release private emails with NFL". Boston.com. ^ Maury Brown. "ESPN's Uncomfortable, Unnerving Relationship With The NFL". Forbes. ^ "Browns GM Ray Farmer apologizes for 'Textgate' controversy". Sports Illustrated. February 19, 2015. Retrieved February 27, 2015. ^ Jay Busbee (February 3, 2015). "Falcons' Arthur Blank on crowd noise: 'What we've done ... is wrong'". Yahoo! Sports. ^ Patra, Kevin (December 1, 2014). "NFL to remind teams not to warm footballs". NFL.com. NFL Enterprises, LLC. Retrieved October 21, 2015. ^ Florio, Mike (May 7, 2015). "Ball tampering involving Panthers, Vikings produced a far different reaction". NBC Sports. Retrieved October 21, 2015. ^ Tuttle, Ian (January 23, 2015). "Why DeflateGate Is a Cultural Problem". National Review Online. Retrieved January 24, 2015. ^ Rush Limbaugh (January 21, 2015). "The NFL's Big Ball Problem". rushlimbaugh.com. Retrieved January 24, 2015. ^ Mark Maske (18 August 2015). "As DeflateGate fatigue descends, Tom Brady's court case rolls on sans settlement". The Washington Post. Retrieved 21 October 2015. DeflateGate weariness has set in, both inside and outside the NFL. ^ "Deflategate fatigue: Media have a field day with NFL scandal". MSN Sports. Retrieved 21 October 2015. ^ Darren Hartwell (18 October 2015). "ESPN Attempts To Troll Patriots With Lame Tweet, Gets Destroyed". NESN. Retrieved 21 October 2015. ^ Shaughnessy, Dan (26 April 2016). "Patriots brought this overpunishment on themselves". The Boston Globe. Retrieved 26 April 2016. ^ Schwartz, Nick (January 25, 2015). "'Saturday Night Live' spoofs Deflategate". For The Win. USA Today Sports. ^ Caffrey, Dan (September 17, 2015). ""Stunning And Brave" – South Park – TV Review". The A.V. Club. Retrieved September 17, 2015. ^ Katie Richcreek (8 May 2015). "University of New Hampshire Offering 'Deflategate' Course". Bleacher Report. Retrieved 26 October 2015. ^ "INCO 460 (01) - Deflategate". University of New Hampshire. Retrieved 26 October 2015. ^ DeCosta-Klipa, Nik (May 12, 2015). "Barstool Sports employees arrested during sit-in at NFL offices". Boston.com. The Boston Globe. Retrieved May 13, 2015. ^ Caputo, Tim; Emmons, Nick (April 5, 2016). "7 Patriots fans file lawsuit against NFL over 'Deflategate' punishment". WHDH.com. WHDH. Retrieved April 6, 2016. ^ "Patriots fans sue NFL over lost Deflategate pick". ESPN.com. 6 April 2016. Retrieved 7 April 2016. ^ McCann, Michael (6 April 2016). "Pats fans' lawsuit nothing more than a Hail Mary". www.si.com. Retrieved 7 April 2016. ^ Naqi, Kelly (February 17, 2015). "Patriots locker room attendant tried to put unapproved ball into AFC final". ESPN.com. Retrieved February 23, 2015. ^ "Patriots alerted NFL to issue with special-teams ball - ProFootballTalk". nbcsports.com. ^ "NFL official fired for stealing AFC Championship football". Youtube. February 18, 2015. Retrieved February 23, 2015. ^ "NFL employee handed kicking game ball to Patriots' locker room attendant". February 18, 2015. Retrieved February 23, 2015. ^ Cork Gains (25 July 2016). "More details have emerged about Tom Brady's suspension, and they sound unduly harsh". Business Insider. Business Insider Inc. Retrieved 8 February 2017. ^ Hubbuch, Bart (December 14, 2016). "The NFL, Giants and Steelers are trying to kill Deflategate II". New York Post. Retrieved December 18, 2018. ^ Curran, Tom E. (December 11, 2016). "Curran: No surprise Deflategate 2.0 over before it began". NBC Sports Boston. Retrieved December 18, 2018.